Facebook Lookalike Audiences: What Are They and How Can You Use Them? You obviously don’t want your social media marketing campaigns to fall on deaf ears; it’s a waste of time if most of the people who see your ads aren’t interested or don’t have a need for your product. Fortunately, Facebook made it easier to target relevant potential customers when it introduced Lookalike Audiences in March of last year. Let’s look a little more closely at each option. I’ve written about Facebook Custom Audiences on this blog before, and you can get a step-by-step guide on how to set them up here. For the uninitiated, Custom Audiences allows you to reach qualified leads on Facebook by targeting your messaging at a group that you’ve created, either based on email addresses that you’ve collected, people who have visited your website, or certain other forms of data that you’ve collected. 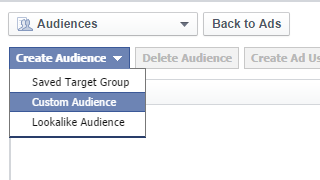 When Facebook first introduced Lookalike Audiences, you could only create them using Custom Audiences. 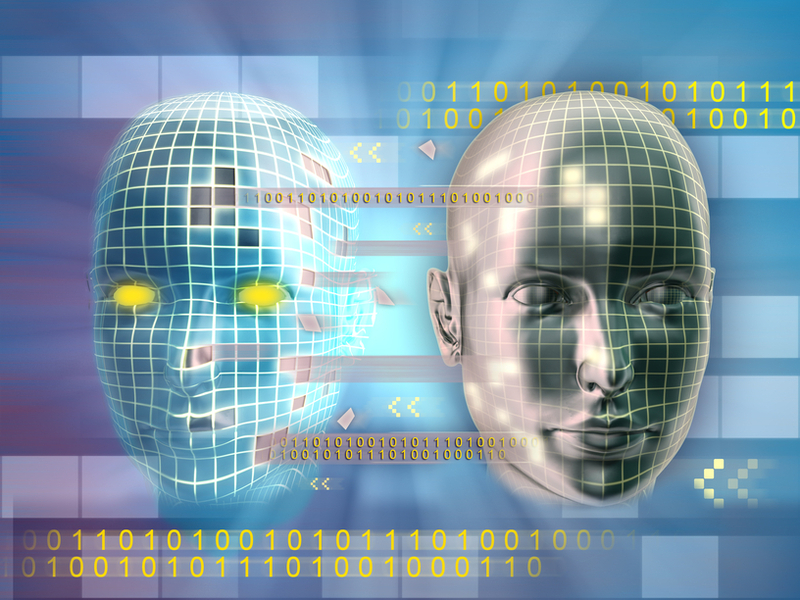 Although the options for creating Lookalike Audiences have since expanded, the original method is still advantageous. When you create a Lookalike Audience for a Custom Audience that you’ve already created—say, a Custom Audience of your email newsletter subscribers—you’ll be targeting people similar to some of your most engaged customers and followers. You don’t need to have information like emails and phone numbers to create a Lookalike Audience based on your website visitors. 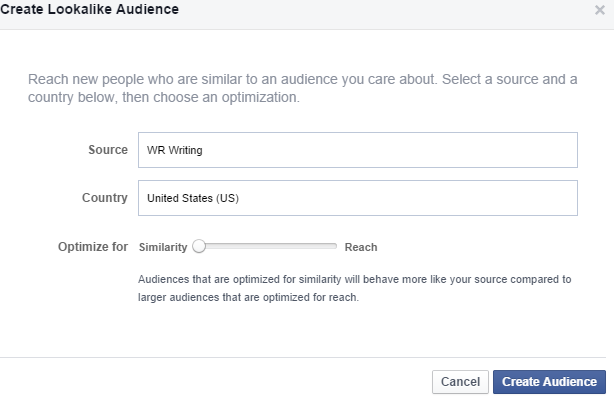 Facebook now allows you to create Website Custom Audiences, which let you target content at people who have visited your website. You can choose to create Audiences based on people who have visited any page of your website or narrow down the Audience by targeting people who have visited specific pages (such as the Confirmation page that web visitors are shown after they make a purchase). Lookalike Audiences based on Website Custom Audiences are particularly beneficial for businesses that may not have a lot of traffic but want to expand their reach; creating a Lookalike Audience based on web users who have visited any page of your website can help introduce new people to your general content. If you sell products in several different diverse categories targeted to different audiences (for example, men’s clothing and women’s clothing), you can create Lookalike Audiences based on visitors to a specific category page on your website in order to ensure you’re targeting the right people. And finally, you can create Audiences based on web visitors who actually converted, allowing you to go after the most qualified leads. If you’ve set up a mobile app to complement your website, you can now target people who have taken specific actions through your mobile app, such as adding an item to their cart. You just have to make sure your app is registered and that you’ve set up predefined events (such as “added to cart”) for Android or iOS, so that Facebook can identify users who have triggered those events. Much like how Lookalike Audiences is based on your website visitors, this allows you to find qualified leads by targeting people similar to those who have already made a purchase. Basing a Lookalike Audience off of Mobile App customers will likely allow you to target a slightly different group, though—people who are more likely to make purchases on their phone than sitting at their computer. A Conversion Pixel is essentially a piece of code that Facebook gives you to place on a page of your website so that you can measure not just who clicked on your page, but who actually converted. Creating Lookalike Audiences based on Conversion Pixels is very similar to creating Lookalike Audiences based on Website Custom Audiences, so you probably won’t need to use both. 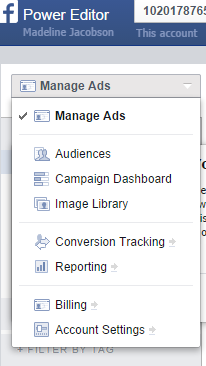 In fact, Facebook may merge Website Custom Audiences and Conversion Pixels in the future. This is an incredibly easy way to create a Lookalike Audience. If you already have a Fan Page for your business on Facebook, you can simply select that page in order to target people similar to those who are already fans of you on Facebook. You can do this for any Fan Page that you’ve created, but not for pages that you don’t control (so if you run a small soda company you couldn’t, for example, just target everyone who likes the official Coca-Cola fan page). This feature is particularly useful for small businesses who may not have a lot of website traffic or data (such as email lists) to use for a Custom Audience. Once you’ve chosen the source you want to use for your Lookalike Audience, setting it up is pretty straightforward. Log into your account, go to Ads Manager, and click on Power Editor. Select a source in the dialogue box that opens up. This will be where you choose whether you want your Lookalike Audience to be based on a Custom Audience, Website Custom Audience, Conversion Pixel, Mobile App Audience, or Fan Page. Select the country you want to target with your Lookalike Audience. You can only select one country at a time, but you can create different audiences for different countries if you want. Use the slider to adjust your audience for Similarity (fewer people who are the most similar to your Custom Audience) or Reach (more people who are still similar to your Custom Audience, but not as narrowly focused). 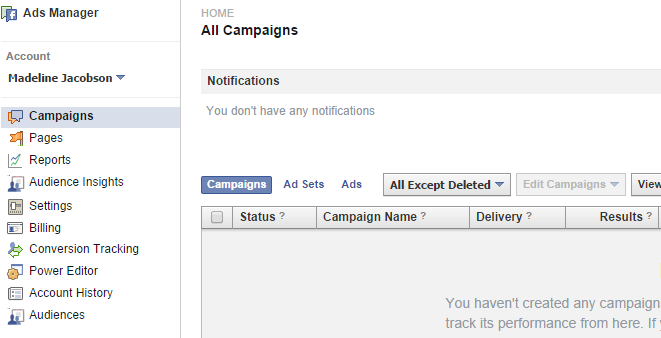 When you adjust the slider, Facebook will give you an estimate for how many people you’ll be reaching. Click “Create Audience” when you’re done. 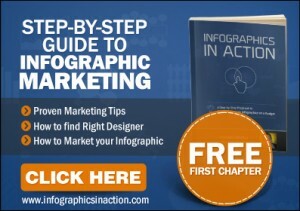 You may need to wait up to 24 hours for Facebook to generate your Lookalike Audience. Once you’ve created your first Lookalike Audience, you can begin targeting ads specifically at this group of web users, building brand awareness and leading to more conversions.